The day after Valentine's tends to be busy for divorce lawyers. Valentine's Day is supposed to be about love and romance. But unfortunately, it can be just the opposite. Because of that, Feb. 15 starts the busy season for divorce lawyers, as people who were unhappy with their marriages heading into the day often decide that they no longer want to be with the one they used to love. A study of divorce filings in New York, Illinois and California by AttorneyFee.com, a legal referral site, found that February is the busiest month of the year for divorce filings, up about 18% from the average month. And those seeking referrals for a divorce lawyer on the site increase 38% following the holiday, with the biggest spike on the day after Valentine's. Another legal site, Avvo.com, reports a 40% increase in those seeking information and advice about divorce in the period right after Valentine's Day. 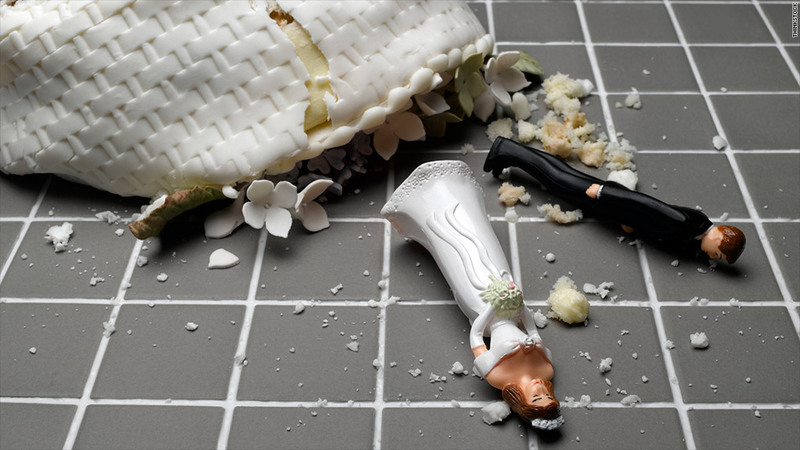 "There's a very large number of people who are considering the divorce all the time, deciding whether or not to file," said Richard Komaiko, a co-founder of AttorneyFee. "On Valentine's Day, they take stock of things." Komaiko said February has factors other than the holiday that could lead to an increase in divorces. January is the busiest month of the year for bankruptcy filings, highlighting the financial problems that often divide couples. In addition, the cold weather of February can keep couples that are having trouble indoors and closer to each other, adding to problems. But Alton Abramowitz, president of the American Academy of Matrimonial Lawyers, believes the holiday itself often brings things to a head for couples who are having trouble. "There's always the clients who come in a day or two after saying 'I can't believe it, I made this beautiful dinner for my husband for Valentine's Day, he called to say he was stuck in the office and then didn't come home at all." Abramowitz said for a person who is being unfaithful to a spouse, the day can create problems that lead to them finally getting caught. "The person who is cheating is caught in the middle; they have to satisfy the spouse and their lover, and more often than not that's an impossible feat to achieve," he said.